A new daycare that incorporates trauma counselling for immigrant and refugee children in Victoria is among projects that will receive a share of $33 million in funding for new licensed child care spaces in British Columbia. The Victoria Immigrant and Refugee Centre Society's planned daycare for 28 infants and children, in partnership with Family Services of Victoria, is among the projects eligible for provincial funding to create 948 new child-care spaces in Victoria and Vancouver Island communities stretching from Ucluelet to Campbell River. David Lau, executive director of VIRCS, told All Points West host Jason D'Souza the need for child care, especially for infants, is so acute that the centre started receiving wait-list requests even before daycare plans were formally announced for the building it purchased in June. With help from the $371,173 in provincial funding, Lau said, "we're hoping to build a trauma-informed daycare service." He said it is a model that was developed in Australia, although he is not aware of a similar daycare in Canada. "With the sorts of kids that go through our centre and also Family Services of Greater Victoria, we do have some kids who go through and they could definitely use some help," he said. VIRCS already operates programs for older children and youth including an adjustment support group for ages six to 11 to help immigrant and refugee children overcome challenges such as grief, separation from family members, isolation and traumatic experiences. Meanwhile, the Qualicum First Nation is eligible for $500,000 to add a new building and 36 spaces — eight for children aged three to five years, four preschool spaces and 24 school-age spaces — to the Qualicum First Nation After School Care Centre. Pam Moore, the manager of children's services for the First Nation, said there has been no after-school care program in the community for several years. The existing daycare, which also provides care for non-Indigenous children in the community, has been "very well supported" by the chief and council, she said. Moore said the new after-school care centre as well as the new three-to-five-year-old spaces are expected be ready for the start of the next school year. However, the community will still have a gap in infant and toddler care spaces. 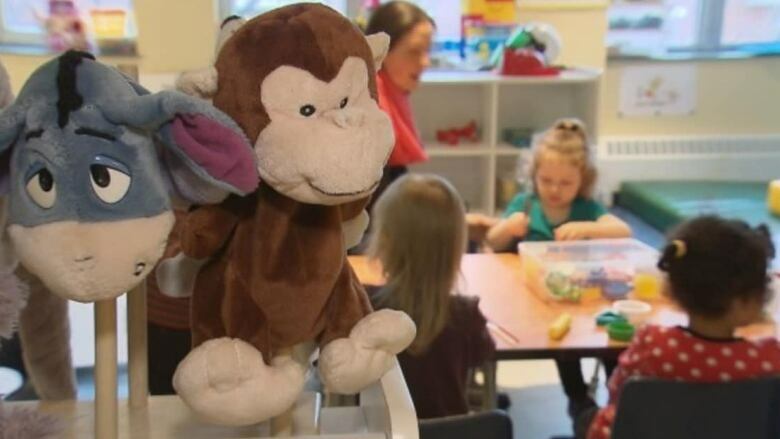 In total, capital funding to create 3,806 new child-care spaces was announced Monday by B.C. Minister of Children and Family Development Katrine Conroy, with expectations that all of them will open within one to two years.